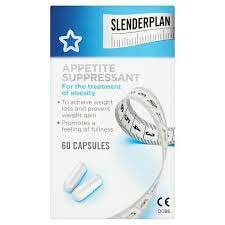 Slenderplan Appetite Suppressant is part of a range of own brand weight loss products developed for Superdrug. It’s produced in capsule format and, as the name suggests, it’s intended to help people to get their eating habits under control. Superdrug don’t provide a lot of information about their appetite suppressant, but the capsule contents apparently combine with water inside the stomach and form a gelatinous compound. This creates the promised feeling of fullness and helps users to feel satisfied more quickly at meal times. If it works in the intended way, Slenderplan Appetite Suppressant should help people to less food per day and this will, of course, result in a calorie reduction. If the calorie intake per day becomes too low to provide the body with the energy it needs, the body will respond to the shortage by burning its stores of fat. 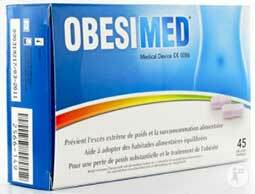 OMTEC 19: A patent protected plant fibre complex that’s also the key ingredient in Obesimed appetite suppressing diet pills. We have some concerns about this ingredient because we were unable to find out who manufactures it or what it contains. Amylum Solani: A purified potato starch developed by DFE Pharma. Amylum Solani has the ability to aid the disintegration of pill-type medications and supplements and is also used as a binder and filler. Hypromelllose (E464): A semi synthetic compound that’s sometimes used as a controlled delivery component in oral medications. Oleum Helianthus: A fancy name for sunflower seed oil. It’s unlikely to contribute to the promised appetite suppressing effect, but sunflower seed oil can be useful for lowering cholesterol levels and preventing constipation. Titanium Dioxide (E171): An ingredient that’s often used as a colourant in food products and confectionery. 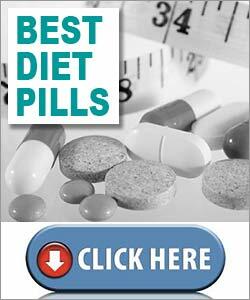 Usage Guidelines – Slenderplan Appetite Suppressant is intended to be used in conjunction with a calorie reduced diet. 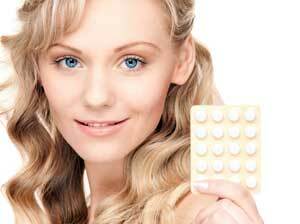 The capsules have to be swallowed whole and three (2 capsule) doses are required per day. Superdrug stress the importance of always washing the capsules down with two large glasses of water. A four-day break is recommended after every 30 days of consecutive use. No side effects have been reported. The biggest issue with the product appears to be the smell. Several customers have commented on it and the mouth and the nose are in such close proximity to each other this is a problem that will be hard to avoid. 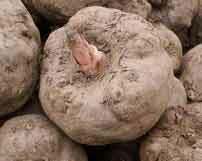 However, there is a lack of information about the main ingredient and this raises some concerns. With this in mind, if you are seriously considering using Slenderplan Appetite Suppressant as a way to lose weight, we suggest you visit your GP first and only use the product if he or she says it is safe to do so. You can only buy Slenderplan Appetite Suppressant from Superdrug and, if you don’t have a local branch near you, it’s also possible to purchase the product via the Superdrug website. A 60-capsule pack of Slenderplan Appetite Suppressant costs £12.99 and, when used in the recommended way, each pack will only be good for 10 days. Superdrug often run promotions though and, at the time of this review, customers who bought two packs together were eligible for a 50% discount on the second box. Customers who are not happy with any of Superdrug’s own brand products are promised a 100% refund and 25% discount the next time they buy a Superdrug own brand product. Although customer reviews suggest Slenderplan Appetite Suppressant may work for some people, it does not appear to work for all. Without a better idea of the nature of the key ingredient (OMTEC 19) it’s hard to speculate why this may might be the case. However, it’s entirely possible that the people who appear to have had the most success with the product had made other changes in their lifestyle as well, such as exercising more and eating low calorie foods. No matter what the reason though, Slenderplan Appetite Suppressant does not appear to be a particularly powerful product and it does not compare well to PhenQ. 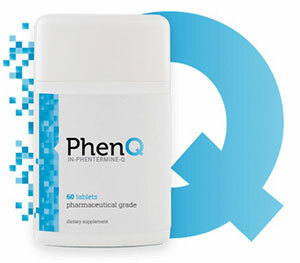 PhenQ is one of the best appetite suppressing diet pills on the market and there is no mystery about the ingredient that provides the hunger curbing effects. It’s a cactus extract called nopal and it’s been highly valued as an appetite suppressant for many hundreds of years. 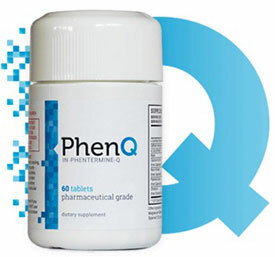 Unlike Slenderplan Appetite Suppressant, PhenQ also provides dieters with support in other areas and is known to be very efficient at accelerating fat burning. The capsules are also surprisingly odour-free. It’s a better option than Slenderplan Appetite Suppressant in every way so, if you are searching for a good appetite suppressing diet pill, you won’t find a better option than PhenQ.